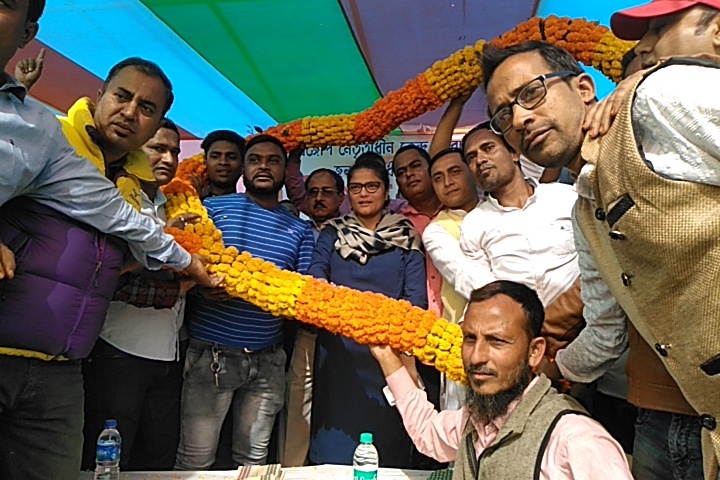 Sounding the bugle for the forthcoming general elections for Silchar constituency, sitting Member of Parliament (MP) and All India Mahila Congress president, Sushmita Dev, said, that the 2019 Lok Sabha elections would be a fight between the anti-poor and anti-constitutional Prime Minister Narendra Modi versus a pro-people approach maintained by the Congress. 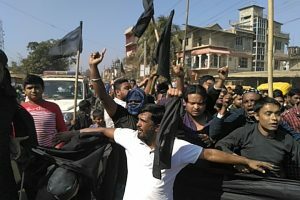 She added, “In NRC, people are being subjected to submit a document of this country, while, this Citizens Amendment Bill (CAB) would force people to produce a document of Bangladesh. I am not the only one to say that this CAB should be up until the voters list of 2014 or even up to 2016, which has been advocated by former Chief Minister of Assam, Tarun Gogoi, too. In her speech to this gathering, Sushmita Dev, also said referring to the comments made by Chief Minister of Assam, that, there is no guarantee for getting a citizenship. Interestingly, a group of youths staged a protest demonstration and displayed black flags against Silchar’s Parliamentarian, Sushmita Dev shouting ‘go back’ slogans alleging her for supporting the Citizenship (Amendment) Bill, 2016. Reacting on this, Sushmita said “Everyone has their democratic rights of expression. There are many views of this Bill and I stand with the views expressed by Silchar District Congress before the Joint Parliamentary Committee,” said Dev.